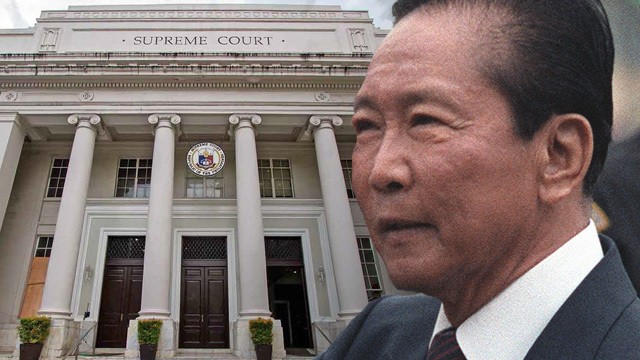 By Soliman M. Santos Jr.
We look back at a 1989 Supreme Court verdict, when the Tribunal upheld Cory Aquino’s decision barring Ferdinand Marcos from returning to the Philippines to die. Flashback to 27 years ago: Marcos vs. Manglapus, G.R. No. 88211, September 15, 1989, 177 SCRA 668. 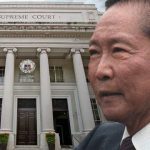 It is the Philippine Supreme Court (SC) decision that law students are taught and recite on regarding the President’s “residual unstated powers.” On this basis, the SC en banc upheld President Corazon Aquino’s decision barring former President Ferdinand Marcos from getting his wish to return from his Hawaii exile to the country to die. While the vote was divided, turning as it did on the balance between presidential power to act on “a serious threat to national interest and welfare” on one hand and an individual’s right to return to his country on the other hand, the decision and most of the separate opinions – whether concurring or dissenting – were remarkably unanimous in their negative assessments of the role of Marcos in recent Philippine history, even by the dissenting Justices who voted to uphold his right to return to the country. To be clear, these negative assessments of Marcos were not the ratio decidendi (legal reasoning basis) for the decision (and we are not going back here to the core constitutional argumentation therein). Those negative assessments of Marcos can be considered mere obiter dicta or side commentaries or opinions that may be relevant to but are not the actual basis, factual and legal, for resolving the constitutional issue. Those negative assessments of Marcos may however be more relevant to the Marcos Libingan burial issue at hand, pending in the SC, such as along the lines of the petition therein of martial law victim Etta Rosales. The Marcos vs. Manglapus Decision itself, to start with, contains a “class by itself” caveat while summarizing that negative assessment of Marcos, thus: “This case is unique. It should not create a precedent, the case of a dictator forced out of office and into exile after causing twenty years of political, economic and social havoc in the country and who within the short space of three years seeks to return, is in a class by itself.” But maybe no longer. The ponente Justice Cortes goes on to say: “We cannot also lose sight of the fact that the country is only now beginning to recover from the hardships brought about by the plunder of the economy attributed to the Marcoses and their close associates and relatives, many of whom are still here in the Philippines in a position to destabilize the country, while the Government has barely scratched the surface, so to speak, in its efforts to recover the enormous wealth stashed away by the Marcoses in foreign jurisdictions. Then, We cannot ignore the continually increasing burden imposed on the economy by the excessive foreign borrowing during the Marcos regime, which stifles and stagnates development and is one of the root causes of widespread poverty and all its attendant ills. The resulting precarious state of our economy is of common knowledge and is easily within the ambit of judicial notice.” “Of judicial notice,” meaning recognized as fact without need of further proof. Dissenting Justice Sarmiento, whose son and himself were martial victims, was the most gallant to his tormentor, a despot nonetheless: “The power of the President, so my brethren declaim, ‘calls for the exercise of the President’s power as protector of peace.’…. This is the self-same falsehood Marcos foisted on the Filipino people to justify the authoritarian rule. It also means that we are no better than he was…. . I am for Marcos’ return not because I have a score to settle with him. [My son] Ditto’s death or my arrest are scores that can not be settled….I feel the ex-President’s death abroad (presented in the dailies as ‘imminent’) would leave him ‘unpunished’ for his crimes to country and countrymen. If punishment is due, let this leadership inflict it. But let him stand trial and accord him due process…. Now that the shoe is on the other foot, let no more of human rights violations be repeated against any one, friend or foe. In a democratic framework, there is no such thing as getting even.” Wow! As we said early on, the above quoted passages from the SC Decision in Marcos vs. Manglapus are mere obiter dicta, and were not decisive for that case. But as judicial pronouncements in a SC decision that is already “part of the legal system of the Philippines,” what value if any do they have for the Marcos Libingan burial issue at hand pending in the SC? Has change come after 27 years to that historical verdict of sorts? We do not think so. The historical verdict should stand. What perhaps remains in the Marcos Libingan burial case in the SC is to place that historical verdict in a constitutional frame. There appears to be sufficient constitutional grounds to do so, starting with the history itself of that Constitution. May law and history collaborate in its resolution. Soliman M. Santos Jr is presently the Judge of the Regional Trial Court (RTC) Branch 61 in Naga City. He is the author of a number of books, including Justice of the Peace: The Work of a First-Level Court Judge in the Rinconada District of Camarines Sur (Quezon City: Central Books, 2015). He has been a political activist and martial law detainee; a long-time human rights and international humanitarian lawyer; legislative consultant and legal scholar; peace advocate, researcher and writer.